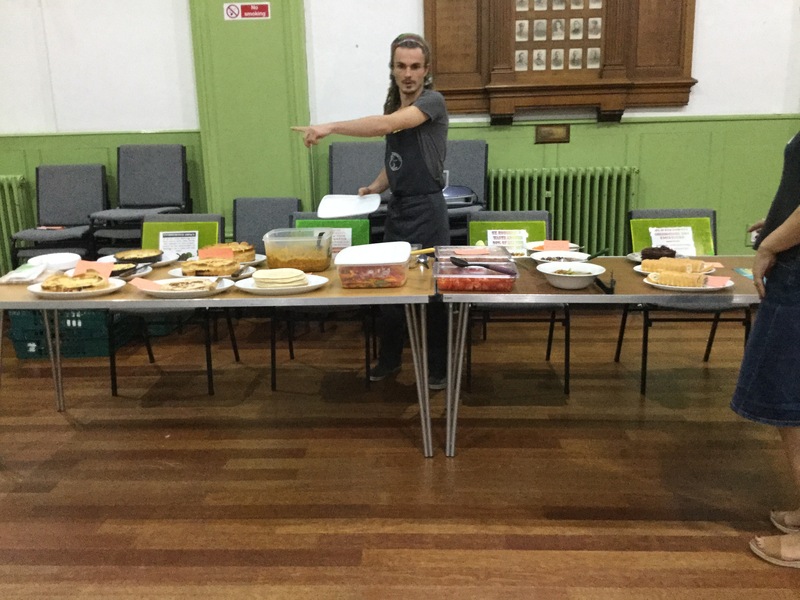 Members eagerly sampled a variety of foods made from unwanted food items, prepared by the team of volunteers at The Real Junk Food Project based in St Andrews Road, off Hinckley Road, Leicester. Alison and Bobby, supported by volunteer Director Ash, began theIr talk with a poem about food waste and then went on to give us some startling figures: 20% of food is wasted in households, costing approximately £60, 5.8 million people in the U.K are in food poverty and 15 million tonnes of food are wasted each year. 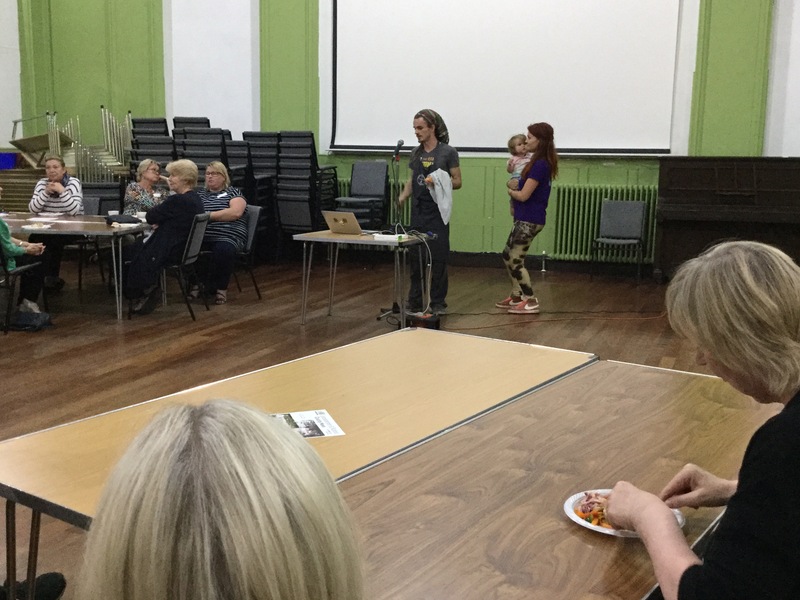 With those thought provoking figures in mind, Bobby and Alison talked passionately about their rationale for setting up their project, how they obtain food donations regularly from a local, well known supermarket, wholesale fruit and veg market and international food shops. The menu in their ‘pay as you feel’ cafe depends entirely on donated ingredients and recipes are agreed during daily banter in the kitchen. Dried fish from Africa proved an unusual challenge but results in a very tasty fish stew. 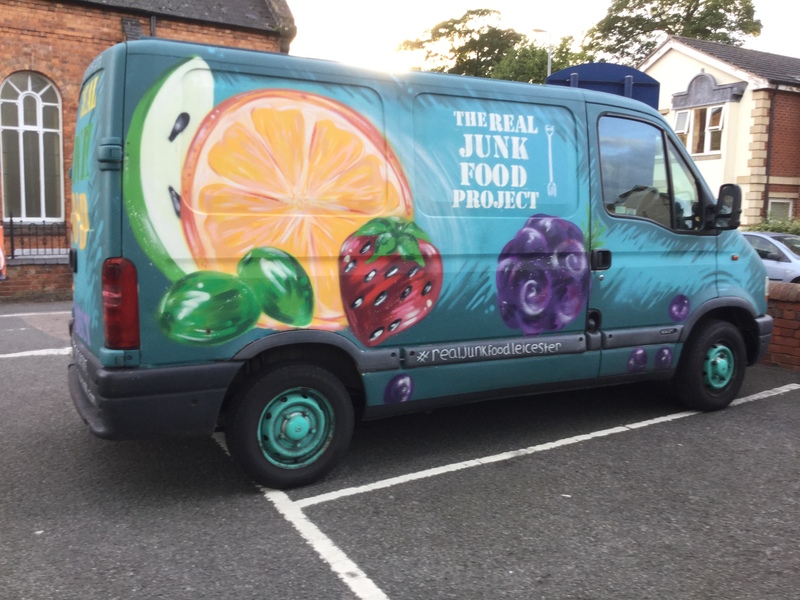 Alison described some of the social outcomes of the project, including meeting with others at the cafe when coming to eat, volunteering and offering skills, such as the painted van in the picture. Nothing is wasted, even plastic plates and cutlery are washed and used again and vegetable peelings are composted. This entry was posted in Market Harborough WI, Monthly meeting and tagged Food waste, Market Harborough WI, Pay as you feel cafe, Real Junk Food Project, recycling by marketharboroughwi. Bookmark the permalink.